The best recommendations I get for dining out when travel coming from fellow gluten-free food writers, not anonymous reviews on a phone app. Pala Pizza in NYC was recommended to me by Heather of Gluten-Free Cat. There was a lot riding on this recommendation: I was getting on a 12-hour flight out of the country, headed to a country where I had no idea how well I would be able to eat. This would be my last hearty meal on U.S. soil for a bit, so it needed to be good. And good it was! Heather’s recommendations in both Nashville and NYC have served me very well! Dare I say, this may be the BEST gluten-free pizza I have had anywhere. 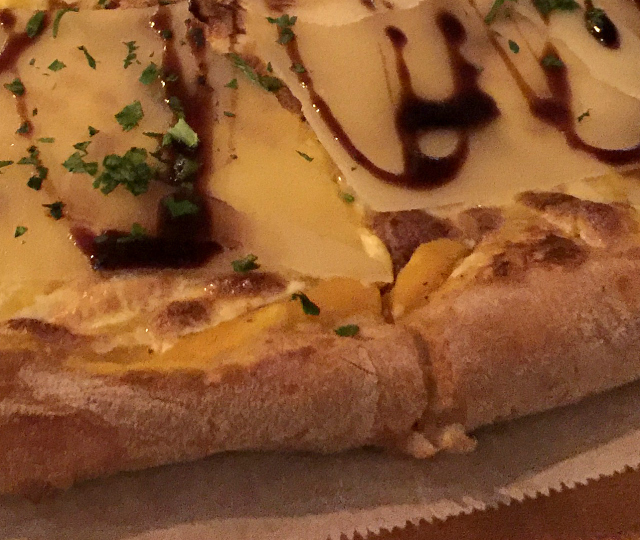 Crust made in house, carefully prepared, served on a dedicated pizza peel, super knowledgeable staff. Simply a perfect experience. I even carried my leftover cold pizza through the airport and ate it hours later on the plane. 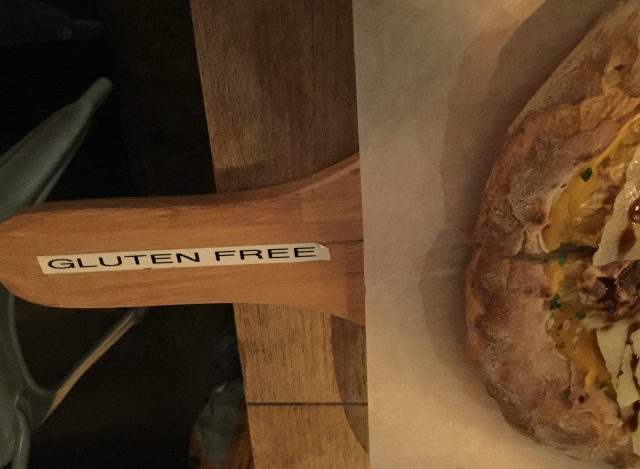 Speaking of the crust, our server was very savvy about gluten-free options. He told me all about how they make their crust in-house and that they have been making gluten-free crust since “before it was a fad.” THAT. That tells me they are interested in feeding those who truly need to be gluten-free for medical reasons, not just jumping on a fad bandwagon and not taking precautions to safely prepare a truly gluten-free meal. They do it right here. Would you look at this gorgeous gluten-free pizza??? The pizzas at Pala are oblong, Roman-style pies. 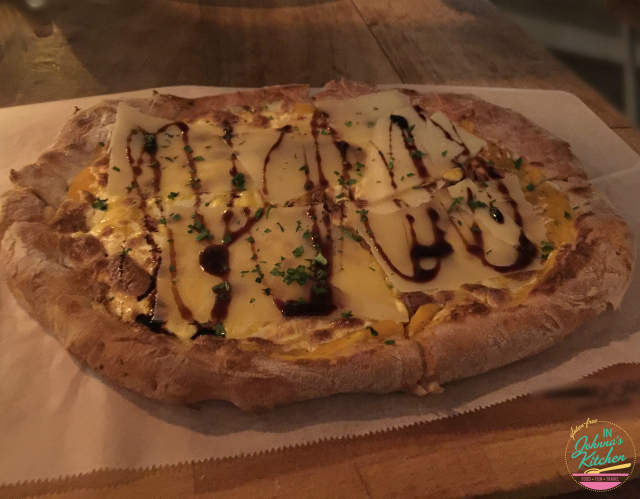 I had the Acetaia with butternut squash puree, a 25-year balsamic vinegar and both mozzarella and parmigiano cheeses. The cheese was plentiful, the butternut squash puree a delightful surprise, all of the flavors pulled together with the gentle bite of a wonderfully aged balsamic vinegar. This would be my go-to pizza if we lived nearby. Well, maybe. I counted no fewer than eight vegetarian pizzas and four vegan pizzas on their menu, so many more than I see at most places. Plenty to choose from here for veggie and carnivorous folks! We didn’t try the pasta, but I did want to mention that they don’t just offer “A” gluten-free pasta, they have three varieties: a corn and quinoa flour spaghetti, a brown rice flour Fusilli, and a rice, potato and soy flour Penne. It’s so nice to have options AND staff who understand the importance of preparing them safely. The setting at Pala is casual, comfortable, inviting. 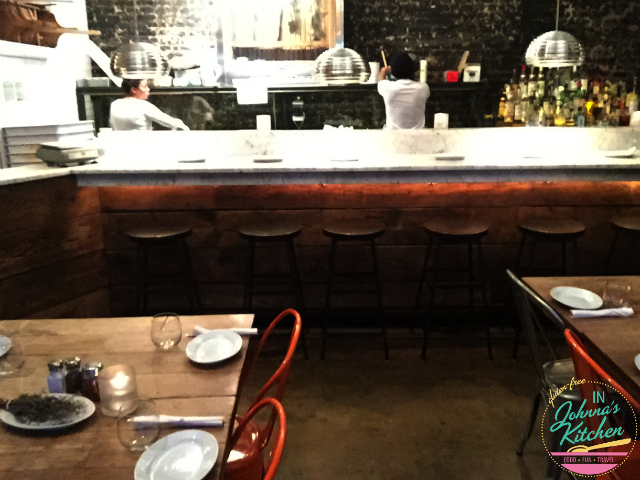 There is seating at the bar with a view into the open kitchen as well as table seating. I would recommend making a reservation. We lucked into an open table on a weeknight but wouldn’t count on that with a party of more than 2 on most evening. Pala Pizza is located on the Lower East Side at 198 Allen Street, New York City, NY 10012. They offer delivery as well, with the area posted on their site, as well as Grub Hub and Postmates options.